Well we’re into July now and it’s Alex Deck’s turn to set a new Club record, this time the ladies 50 mile record. 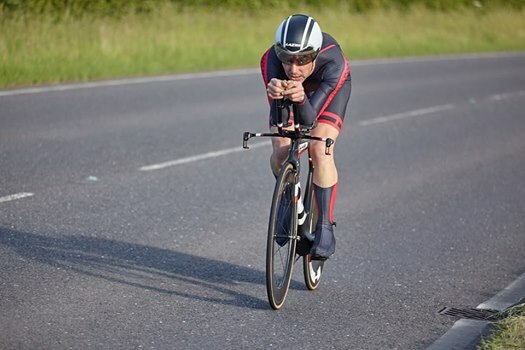 Alex rode the BDCA 50 at Etwall on Sunday and having not ridden a 50 for about a year managed to break Freddie Herridge’s record set back in 1994 and posted a new time of 2.01.21 knocking ten minutes off the old record. It was discussed and agreed at the last meeting that this year’s Cleethorpes ride will head to Saxton near Tadcaster instead. The date for the club run is Sunday 9th July – departure time 8:30am (tbc). 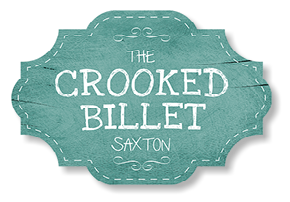 The proposal at this stage would be to ride to Saxton, near Tadcaster to a pub called the Crooked Billet where they have what is called the Pudding Challenge. Allegedly they have the finest Yorkshire Puddings in god’s own county and the challenge is a three course meal of Yorkshire Puddings at £15 per head. We’d then ride back and as it would be a social occasion we’d probably stop for a coffee, about 100 miles or so in total at a nice Sunday Club run pace. As agreed at the meeting we’d do it instead of Cleethorpes this year but perhaps go back to Cleethorpes next year. Bob will obviously need to let the pub know how many of us to expect so if you could drop him an email / tweet or even a Facebook message then please do so….. I received a phone call earlier this week from Charlie Crookes informing me that his only son Andrew had passed away at the weekend aged 31. For those of you that were around in the late 90’s and early noughties Andrew was a member of the Club and used to ride our mid-week events as well as a few open time trials and road races. Andrews funeral will be at the North Chapel, Grenoside Crematorium on Thursday 29th June at 2.45pm. All are warmly welcome, bright clothes – especially football shirts and cycling jerseys as a celebration of his short life would be greatly appreciated. Our thoughts are with his Mum and Dad at this time Charlie and Dianne. 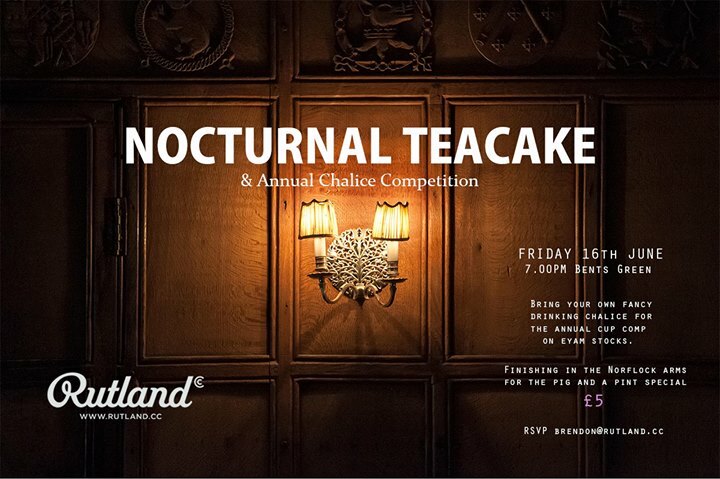 Nocturnal Teacake – Friday 16th June. The Summer Solstice will soon be upon us so that can only mean one thing….The Nocturnal Teacake. We’ll be leaving the Teacake meet at 7pm on Friday (16th) and heading towards Eyam stocks to indulge in our ancient ritual….. The Chalice Competition. The drinking vessels are getting wackier and more creative every year but there is no simple equation you can follow to get your name in the history books as you will be judged by the infamous Rutland clap-o-meter much hated by the residents of Eyam Village. Last year’s competition was won by a real gold whisky vessel followed by half a tennis ball in second place. We’ll then head to the Barrel for a quick pint and then back to the Norfolk Arms for the usual pint and a butty. Please let Brendon know if you’re coming before Thursday lunch please. Well we’re only a week into June and Club records are still being broken, this time by both the Ledgers, Karen and Chris. The City RC 10 on the V718 up at North Cave was the place to be on Wednesday night this week. Karen lowered Alex Deck’s month old record of 22.50 down to 20.45 setting a new Club record as well as a North Mids age record at the age of 44. Not to be outdone Chris also set a new Club record with a 19.23 beating Ben Harvey’s four year old record as well as setting a new National and North Mids age record at the age of 55. Congratulations to you both, I’m sure there will be more to come. Tumby’s Road Race for 2017 is on….…..provided Steve gets a minimum of 20 marshals and 5 drivers. Sunday 23rd July is the date for your diaries with a usual start time of 10am from the Ruddle Centre, Doncaster Road, Braithwell, S66 7BB. This is our/your Club’s promotion so please make every effort to support Steve in running this event on the Club’s. Steve has always been a member of the Rutland and he has organised Tumby’s Road Race since the first edition back in 2002. Please get in touch with Steve as soon as you can and offer your help for a couple of hours on this Sunday morning (23/7). Event details can be found here…..
A good showing from the Rutland at last weekend’s South Pennine 25 at Etwall. With average conditions (warmish, windy and wet!) 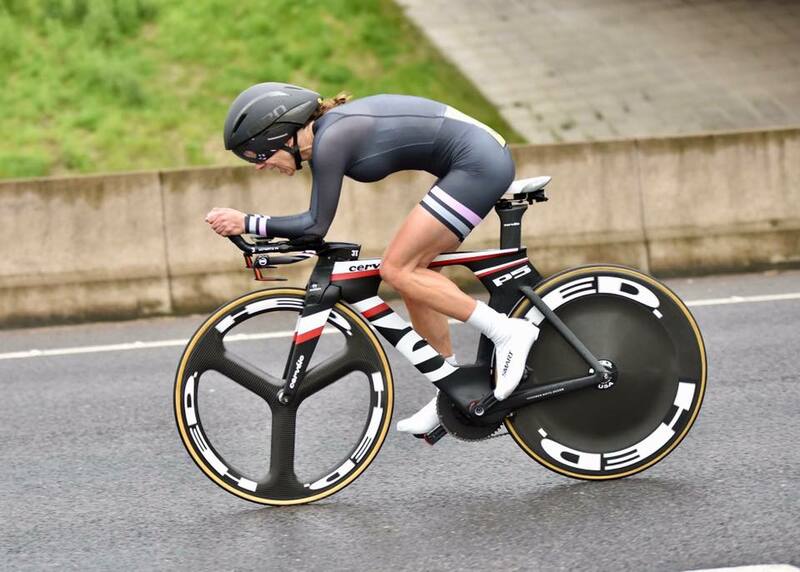 Karen Ledger finished in 2nd place, 19 seconds behind Victoria Smith from Aerocoach. Karen continued her good early season form and finished with a course PB of 54:25, a national age record and took a massive 9.42 off the Club’s 30 year old ladies 25 record. 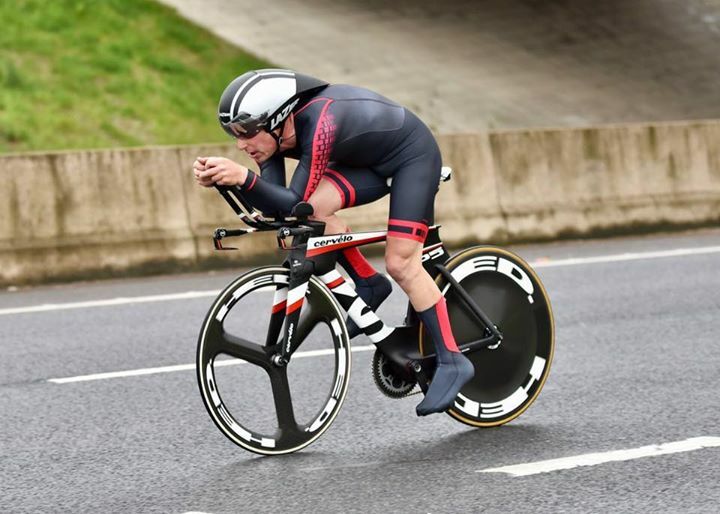 Chris Ledger was 1st vet 55, 11th overall and did a PB with a 51.03. Alex Deck also had a good ride and competed the Rutland line up finishing 6th and 1st vet 45 in 56:56 only a few seconds off her PB. Ladies Club 10 record lowered again. Its like a game of tennis at the moment between Alex Deck and Karen Ledger with the Club 10 record. Alex knocked another 9 seconds off the current record on Saturday at the BDCA Womens event at Etwall lowering it to 22.50. 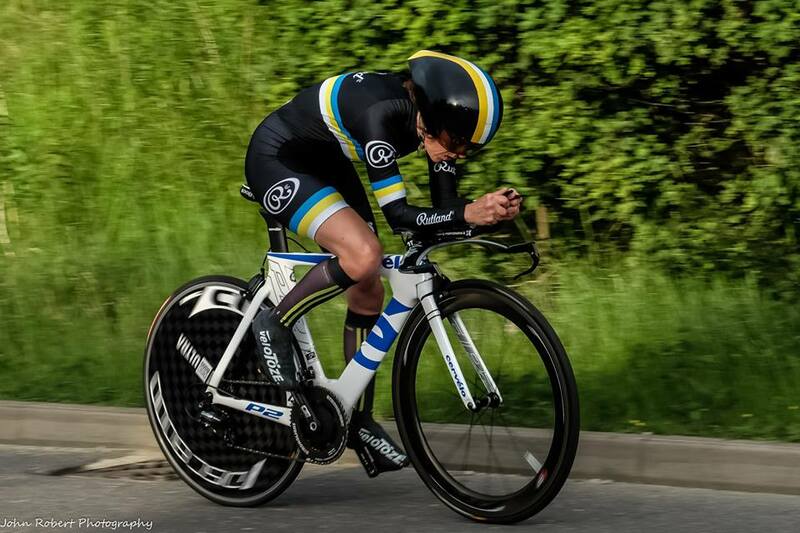 Karen actually went faster on Tuesday of this week in the Sheffield Phoenix event at Cuckney with a 22.44 but as that was only a club event it doesn’t count as a Club record. Recently and more often than not I when post things on here it seems to be sad news and this is no exception. Geoff Hague let me know that another long standing member of the Club Bob Furness passed away suddenly and unexpectedly in his sleep at the weekend. Bob’s funeral will be held at 2:30 on Friday the 12th May at the Chesterfield Crematorium and then at the Bakewell Golf Club for the wake.